"... living is making choices". 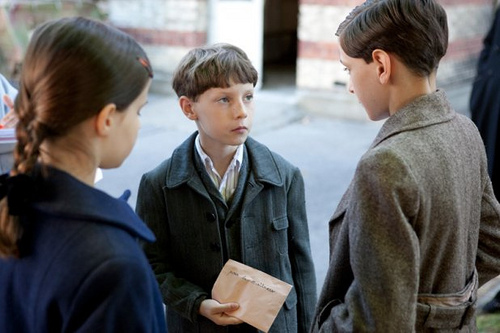 This popular TV series looks at how fictional villagers respond to German Occupation. With a few brave exceptions, French film-makers took decades before they were prepared to make movies about the responses of ordinary French people to German Occupation. It took over six decades before this still controversial topic became the subject of a major French TV series: Un village française. The series, which is meant to run for five years, devotes each season to a year during the Occupation, starting from June,1940. It is intended to film almost sixty episodes, ending with Liberation and its impact on the village. The series focuses on the inhabitants of the small rura fictional village of Villeneuve in Vichy-controlled eastern France as they decide how they will deal with the various problems and dilemmas they face as a result of the Occupation and its moral and political impact. These issues occur against a backdrop of scarcity and social and economic disruption. Un village français' producer claimed the show's "intention was to bring out those 95% of the French people who were neither Resistance fighters nor collaborators." The production has several interesting features. One is lifted from the HBO productions The Pacific and Band of Brothers : each episode concludes with historical footage and interviews with French people who recollect their lives and attitudes during the Occupation. Another is its emphasis on the gradually changing mood of the villagers as they gradually realise the implications of Occupation and their impact on personal and family relationships. 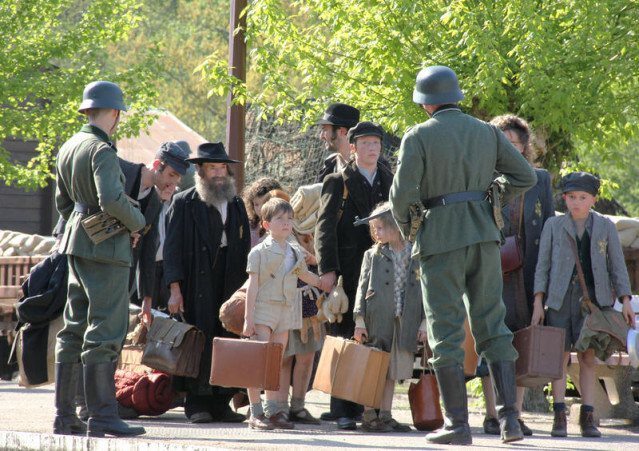 Later episodes of the series look at the rounding up and expulsion of Jews from the village of Villeneuve, and the reactions of the inhabitants. The director of photography for the first season, Therry Jault, examined several seminal films about the Occupation in order to decide on the particular 'look' he wanted to give Un village francaise. These included the desaturated imagery of Melville's Army of Shadows and the semi-documentary black-and-white style of Réne Clément's La bataille du rail. Jault claimed that the series "analyses human behaviour in the terrible situation experienced in France." Lucienne Borderies, a school teacher in the village, provides the focus for the fraught subject of relationships between women in Villeneuve and German soldiers stationed in the area. Villeneuve - significance of the fictional village's name? Significantly, the picturesque village was the home town of Philippe Pétain, head of the collaborationist Vichy government during World War 2. It was also the site of a battle between German troops and the French First Special Force in 1944. Almost 50 years later the bodies of fourteen German soldiers killed in the fighting were discovered in a mass grave.